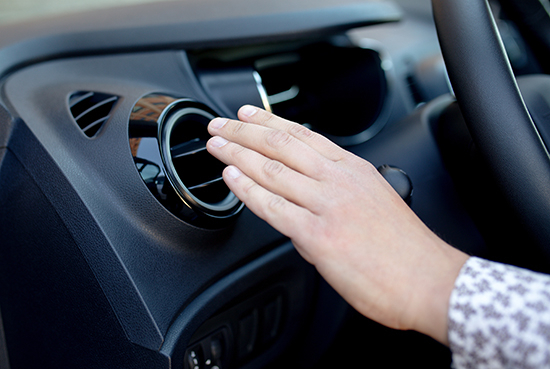 Your car’s radio and headlights, plus a slew of other important functions, are powered by an electrical current generated by your vehicle’s engine. A vital part of generating electricity is having a place to store it while it’s not being used, which is where a car battery comes into play. The battery holds electrical energy while a car is off in order to help the engine turn over and create a spark to start internal combustion. Without a working battery, your car will not be able to start. If you perform proper maintenance, however, an average car battery can start your car reliably for roughly four years. The typical car battery found in most modern cars is of a lead-acid storage design. While we don’t suggest it, if you were to look beneath the surrounding casing of a standard 12-volt car battery, you’d find six connected cells. In these cells is a toxic concoction of hydrogen-oxygen gasses and sulfuric acid, which can burn your skin on contact. The American National Standards Institute advises wearing gloves and eye protection when handling your car battery. We’d also recommend you not smoke around your car battery. A car’s battery is connected by two metal terminals – one positive (+) and one negative (-) – located at the top of the battery’s casing. These terminals can develop buildup over time, which can inhibit electrical flow. If there are encrusted deposits on the battery, carefully clean the terminals with a wire brush dipped in baking soda and water. This will ensure that current flows more freely through the terminals and then to necessary components. Check that the cable ends are securely attached to the terminals. 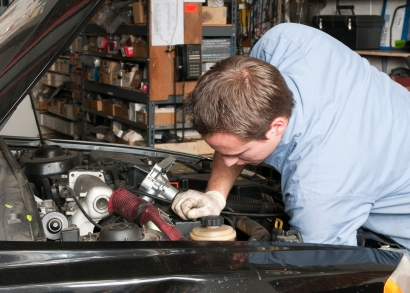 A loose cable end can cause a car not to start and mimics the symptoms of a dead battery. Be extremely careful when disconnecting the battery cables from the brackets. If you do need to disconnect the battery, remove the negative terminal first, then the positive. Removing the positive terminal before the negative can result in a spark, which could ignite anything flammable in the engine compartment and cause an explosion. The battery is secured to the inside of the engine bay or trunk with brackets to prevent it moving around under normal driving conditions. Make sure these brackets are tight. 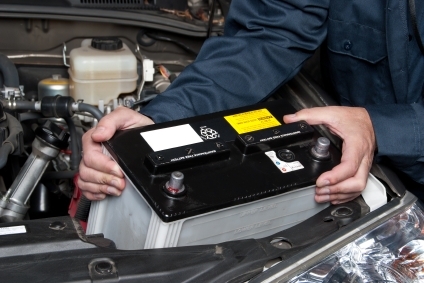 A loose battery can be knocked around while driving, causing the life of the battery to be shortened dramatically. Remember that the typical car battery found in modern cars is of a lead-acid storage design. Inside the battery are six connected cells in which a toxic concoction of hydrogen-oxygen gasses and sulfuric acid reside. 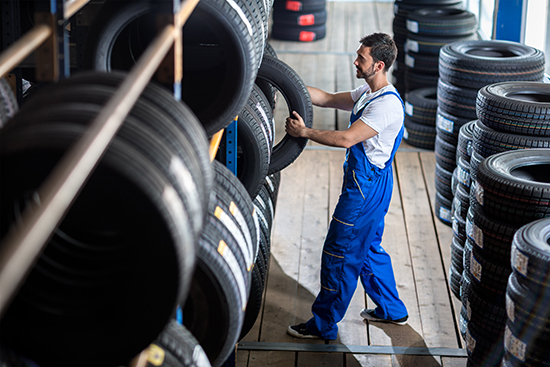 These will burn your skin on contact so we recommend wearing gloves and eye protection when handling your car battery. We’d also recommend you not smoke around your car battery.